We're pleased to welcome Abby Phillips Metzger, the author of the just-released Meander Scars: Reflections on Healing the Willamette River, as a guest to our blog today. For twenty years, Steve McQuiddy has been uncovering the story of a conscientious objectors camp on the Oregon coast that plowed the ground for the social and cultural revolutions of the 1960s. 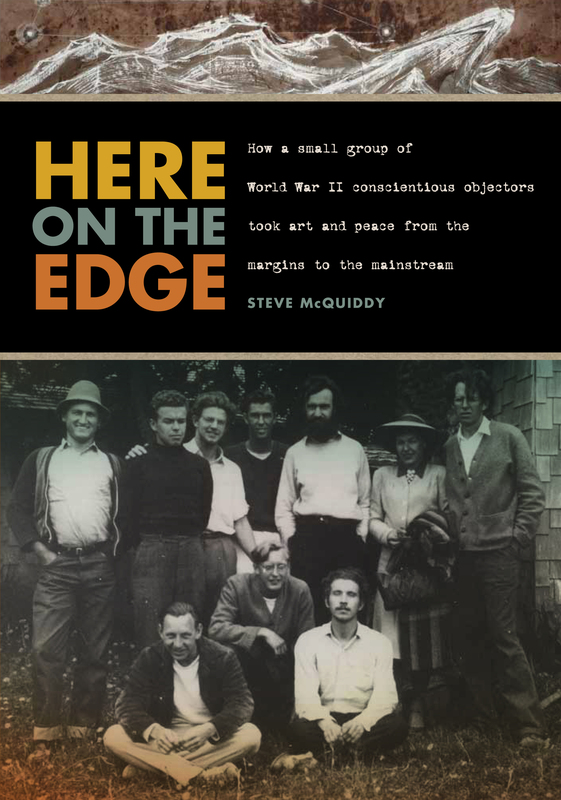 OSU Press is pleased to announce that his long-awaited book, Here on the Edge, is now available. The author will present a slideshow and talk at Powell's Books on Burnside on Wednesday, October 23, 7:30 pm. and at the UO's Knight Library on Wednesday, November 6, 7 pm. At Civilian Public Service Camp #56, located just south of Waldport, pacifists and political objectors spent their daylight hours planting trees, crushing rock, building roads, and fighting forest fires—fifty hours a week, for now pay. At night, they published books, produced plays, and made art and music—all during their limited non-work hours, with little money and resources. They were the Fine Arts Group at Waldport, and their focus was not so much on the current war, but on what kind of society might be possible when the shooting finally stopped. The talented group included poet William Everson, later known as Brother Antoninus, “the Beat Friar”; violinist Broadus Erle, founder of the New Music Quartet; fine arts printer Adrian Wilson; Kermit Sheets, co-founder of San Francisco’s Interplayers theater group; architect Kemper Nomland, Jr.; and internationally renowned sculptor Clayton James. Other notables published by or involved with the Fine Arts Group include artist Morris Graves, poet William Stafford—OSU Press reissued his classic book, Down in My Heart, which recounts his experiences as a conscientious objector—fiery antiwar poet Kenneth Patchen, and iconoclastic author Henry Miller. After the war, camp members went on to participate in the San Francisco Poetry Renaissance of the 1950s, which heavily influenced the Beat Generation of Jack Kerouac and Allen Ginsberg, who in turn inspired Ken Kesey and his Merry Pranksters, leading the way to the radical upheavals epitomized by San Francisco’s Summer of Love. Explore research materials and photographs from the camp and read the author's blog at his website. Read about Steve McQuiddy's experiences while researching and writing the book at The Oregonian. See what Bob Welch has to say about Here on the Edge in the Register-Guard.